The construction for the widening of Highway 160 (Steele Creek Road) had been scheduled to begin in fiscal year 2021 (beginning July 2020), but the Draft STIP now shows right-of-way acquisition and utility relocation beginning in fiscal year 2021 and construction delayed until fiscal year 2024 (beginning July 2023). Segment A is from the South Carolina state line to South Tryon Street, and Segment B is from South Tryon Street to I-485. 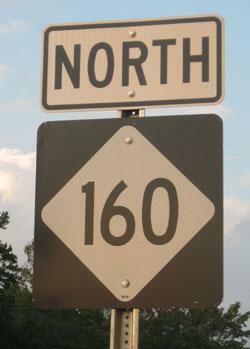 Plans call for Highway 160 to be widened to four lanes with a grassy median, bike paths, and sidewalks from the state line to Shopton Road West and to six lanes from Shopton Road West to I-485. Construction is expected to last for four years. Total cost is projected to be $62,600,000. Click on the image below to view a detailed, revised schedule..
NCDOT is accepting comments on the Draft STIP until April 15. See the STIP Public Comment web page.